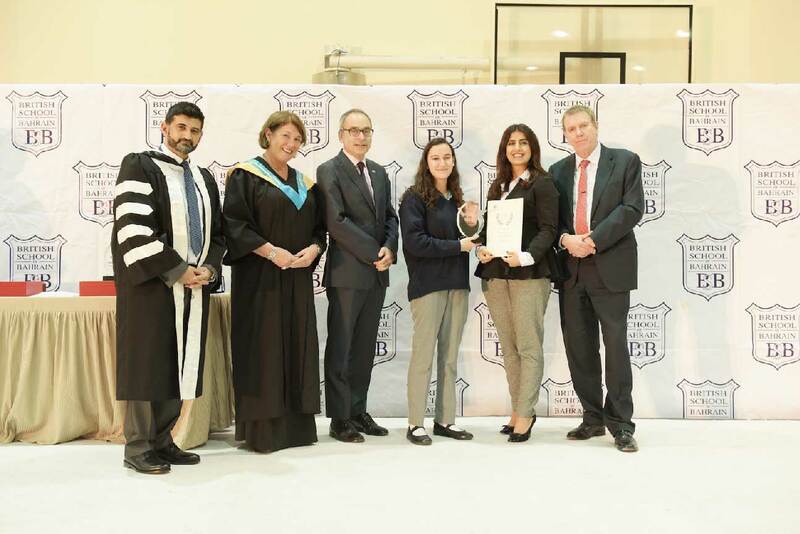 British School of Bahrain (BSB), the leading premier school in Bahrain, yesterday presented top internationally performing GCSC students with awards to mark their achievement. Recipients of this year’s honours were: Layla Al Ammari, who received the highest global GCSE mark for Art & Design: Fine Art, and Adnan Demachkieh, the leading international GCSE scorer in French. The awards were presented to the students by the British Ambassador to Bahrain HE Simon Martin. In attendance at the ceremony, held on the BSB premises, were members of the student body and BSB staff alongside parents and visiting guests and dignitaries. British School of Bahrain continues to rank among the top K-12 institutions in the Kingdom of Bahrain and the GCC region. Year after year, the school delivers outstanding examination results at A level, BTEC and GCSE in line with its mission and dedication to academic excellence, responsibility and individuality. Previous articleA New Way To Integrate Displays Into The Living Space- Yves Behar Speaks!